Fantastic, free vocabulary games to help build your child's language and communication skills! If you are like me, then you want your child to get along with those around him, to be comfortable in the many different social situations he finds himself in. Being able to communicate effectively is fundamental to a successful life. Many opportunities will emerge for the child who speaks articulately and is confident in expressing himself. If we want to communicate effectively with one another then it's important that we think and speak clearly. There are many ways that you, as a parent, can help your child become a confident communicator. You could get them involved in speech or debating clubs and tournaments, but the way I love the most is to encourage my children to talk around the kitchen table about anything and everything. We often come up with a great conversation starter but sometimes we'll decide to play a word or communication game together. This often leads to great hilarity and silliness, and we certainly have a great deal of fun. Playing vocabulary building games with your children, after the evening meal, provides a great opportunity to develop speaking skills which are important for good communication. They also help develop the thinking skills necessary to speak fluently and confidently. 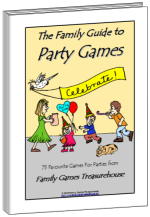 Here are some fun, speech games that we enjoy playing together as a family. 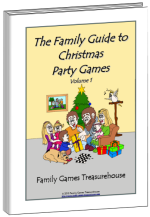 Why don't you take some time after your evening meal to play one or two of them with your family tonight? We hope that you will find them as hilarious and stimulating as we do. 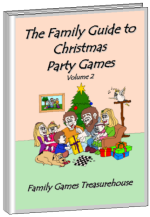 Some of these communication games require a large group of people so how about inviting a couple of families over to join you? Twenty Questions - An interesting game requiring some strategic thinking! Table Story - An imaginative story building game. One of our family's favourite vocabulary games! Click here if you would like to play more word games. 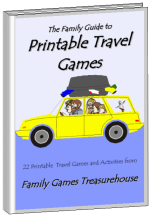 TRAVEL GAMES - Try these vocabulary word games as you are traveling in the car. Click here if you would like to play more travel games. Click here if you would like to play more pen and paper games. We hope you enjoy playing these free vocabulary games. 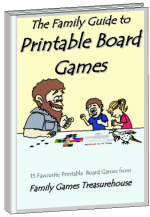 If you would like to play more games with your children to help improve their learning skills then have a look at these free educational games.